If you are looking to study abroad for a postgraduate degree in the UK but are worried about the finances, the Felix Scholarship might be the way to make it happen. 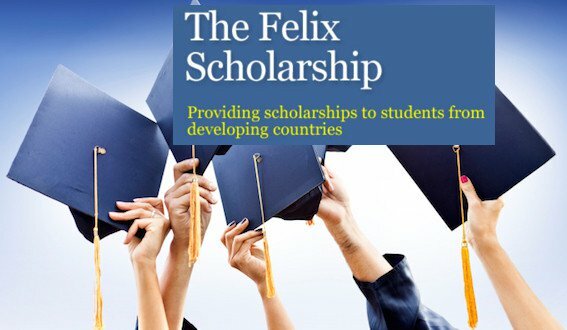 There are a number of Felix Scholarships available for the 2017/2018 entry at three UK universities: University of Oxford, School of Oriental and African Studies (SOAS, University of London) University of Reading. The deadline for the applications is January 30th 2017. The scholarships are typically awarded to Indian nationals, however, a number of scholarships are also available to students who are not Indian nationals or from an EEA country. Since its inception, 40 recipients have not been from India. The Felix Scholarship is an award based on both merit and financial need. It covers full international tuition fees and provides an annual maintenance grant of around £15,000 (2016-17 figure) per year to cover living costs such as accommodation and travel, as well as extra allowances for things like equipment and books. The award can be available for up to 3 years, depending on the course. Please note: Recipients are expected to return to their home country after completing their studies. Candidates applying for the scholarship at the University of Oxford do not need to complete a separate application form, they just need to select the ‘Felix Scholarship’ box on their application to the institution. Candidates must apply online and will need to be nominated by their academic school or department. Candidates must apply for a Felix Scholarship online via this Google Form. The Felix Scholarship was first awarded in 1991 with 6 students receiving the scholarship. Now, the number of awards given annually is 20. To date, 428 Felix Scholarships have been awarded. You can find out more about previous recipients of the scholarship in the alumni profiles on www.felixscholarship.org/past-students.aspx.